Elizabeth In Bewitched. The first time we see Elizabeth as Samantha in the Bewitched pilot episode I,Darrin,Take This Witch Samantha (1964).. Wallpaper and background images in the Elizabeth Montgomery club tagged: elizabeth montgomery actress bewitched samantha stephens witch photo. 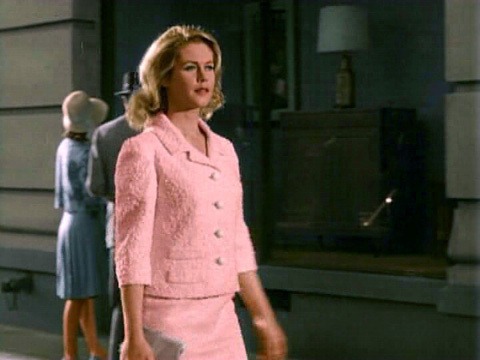 This Elizabeth Montgomery photo might contain well dressed person, suit, pants suit, pantsuit, street, city scene, urban setting, and business suit.